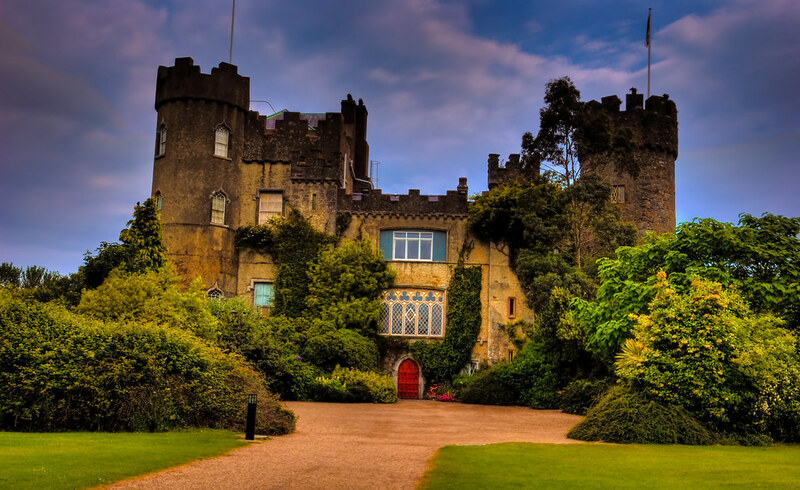 Malahide Castle is located 14 km north of Dublin. It’s unique because during its 791-year history it was owned only by the Talbot family. In fact, Talbots owned the castle from 1185 to 1976, with the exception of a short period, from 1649 to 1660, during the Irish campaign of Cromwell’s army. Nowadays, Malahide is open for visitors. In addition to the interior, Malahide Castle provides a few spots to relax in one of the tea rooms or cafes located inside of it. According to the owners of the castle, they serve the most delicious food among many similar historical establishments of Ireland. The program of the excursion may also include a banquet, arranged in the Great Hall of the castle. Similar events have been held in it since 1475. Malahide is one of the most unique and well-preserved medieval Halls in Ireland, which most fully conveys the atmosphere of a distant era. In addition to the castle, you can also see other interesting sights of Malahide: “Tara Palace”, “Talbot Botanical Gardens” and miniature “Fry Railroad”. Trim Castle is the largest and one of the most significant Norman buildings situated in Ireland. Trim is deservedly considered to be the King of the Irish castles. This unofficial title fully corresponds to its vast territory (over three acres) surrounded by an outer wall and a beautiful decoration of Trim – the grandiose donjon, embodying authority and power of Ireland. The architecture of the main donjon is very original. The massive square block has a high tower in the middle of each front side, although today only three of the four towers are preserved. From the height it looks like a combination of a square and a Greek cross. The towers feature thinner walls than the main construction and seem to have been added not for defensive purposes, but for providing additional housing. Access to the three floors of the central block was carried out by using the spiral staircases in the south-west and northeast corners. Between 1971 and 1974, there were extensive archaeological excavations in the area between the main donjon and the southern wall. In the course of them it was possible to find a stone pedestal, added to the main donjon, and part of the moat surrounding it, as well as a number of auxiliary buildings. 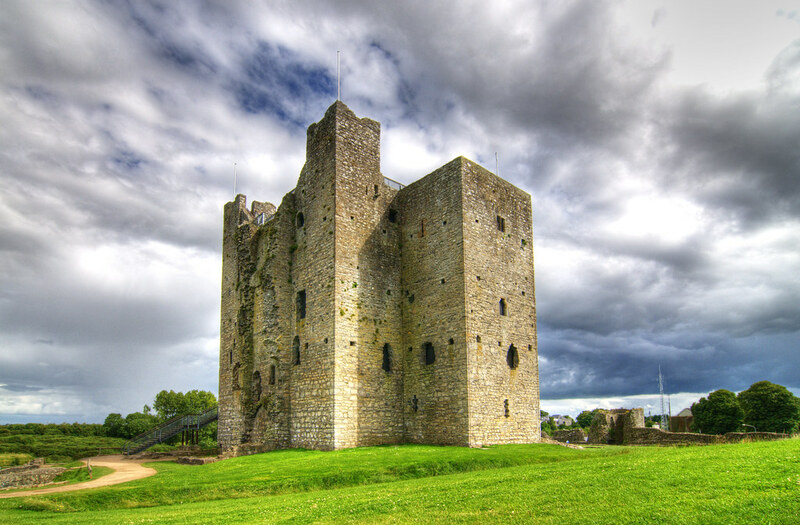 Today, Trim Castle is included into the list of National Monuments of Ireland. Long ago, Carlow Castle was one of the most impressive Norman constructions in Ireland, but nowadays you can only see the western wall and two round towers. Such a fatal destruction was not the result of the impact of ruthless time or large-scale military actions, which led to the decline of many Irish castles. The cause was the accident that occurred there in 1814. The psychiatrist Middleton, who used the castle as a psychiatric hospital, conceived the idea of ​​creating an underground corridor applying explosive powder for this purpose. The explosion was so powerful that it completely destroyed the eastern wall and led to the destruction of the eastern towers and other adjoining walls. In consequence, the remains of masonry fall to pieces and were used as a building material. Speaking about Trim’s history, in 1306, the castle was under the control of the Crown, and later it was devolved to the ownership of the Earls of Norfolk, who owned it until 1537, when the castle was confiscated. In 1494 it was conquered by James Fitzgerald and in 1535 by Silken Thomas. 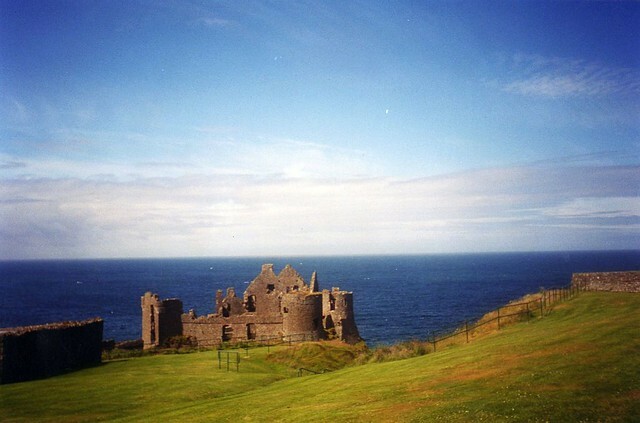 Until 1616, the castle changed several other owners, and then it was bought by Count Tromond. The last time the castle was in the epicenter of hostilities in 1642 during the United War of Ireland. After that, the Hamilton family became the owners of the castle. In 1813, they rented out the castle to Doctor Middleton, who ended the great history of the castle on February 13, 1814 with a tragic explosion. 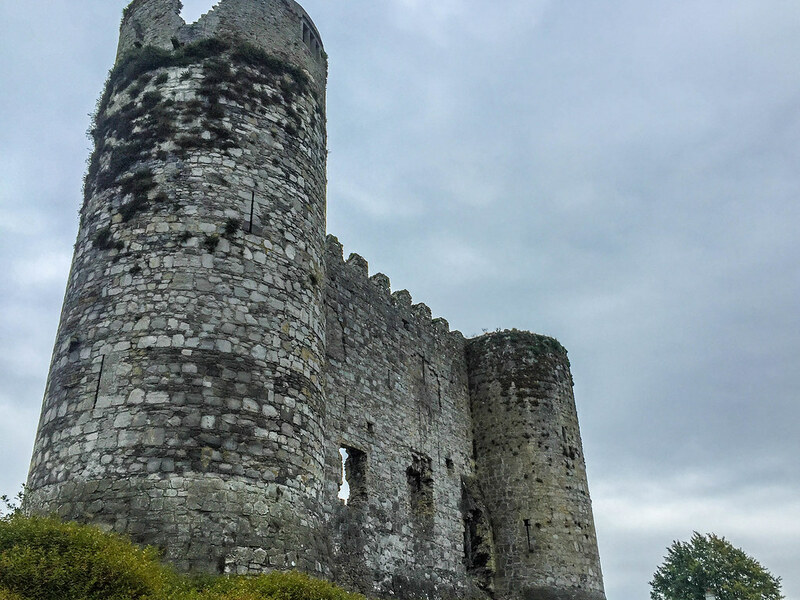 So, nowadays Carlow Castle is an amazing sample of Irish architecture, and it’s possible that in the future it will be restored and will occupy a worthy place among the historical monuments of Ireland. The Castles of Ireland are unique and incredible. These 3 representatives of Irish Architecture show the rich history of the country, and you can feel it by visiting them. As they are situated at a short distance from Dublin, it’s recommended to use Dublin Airport car rental to find them. Of course, don’t forget your digital camera to take wonderful photo shots.